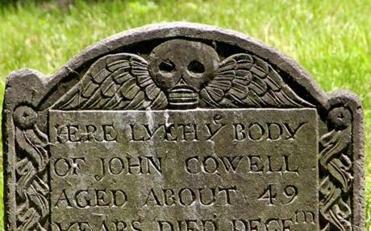 In honor of Halloween, here’s a look at the state’s goriest, ghastliest, and ghostliest local lore, as shared by the folks who run creepy walking tours (and town historians who love a twisted tale). Here’s a story that’s bound to keep you up at night. The Boston Athenaeum, a private library, holds a copy of James Allen’s memoirs, bound in Allen’s own skin, says Athenaeum librarian Alice Platt. A career criminal, Allen attempted to rob two men on the Salem Turnpike, near the Chelsea Bridge. One of the men, John Fenno Jr., fought back. He sustained a gunshot wound but survived. Allen escaped, but was captured in 1835. While dying of tuberculosis at the state prison in Charlestown, Allen asked to see Fenno, the only man who had ever stood up to him. Soon after, Allen began to narrate his life story to the prison warden. Before his death in 1837, he requested that his skin be tanned and used to bind two copies of his memoirs, one for Fenno, and one for his doctor. A piece of skin from Allen’s back was treated to look like grey deerskin by a local tannery, and delivered to a bookbinder. No one is sure how Fenno’s copy ended up at the Athenaeum, but the best guess is that his daughter donated it to the library. (10½ Beacon St., 617-227-0270, www.bostonathenaeum.org). Across the river, Cambridge had its own hanging ground, Gallows Hill, now known as Avon Hill. Perhaps its most sordid tale is that of slaves Mark and Phillis, who were put on trial in 1755 for poisoning their abusive master, Captain John Codman, with arsenic. 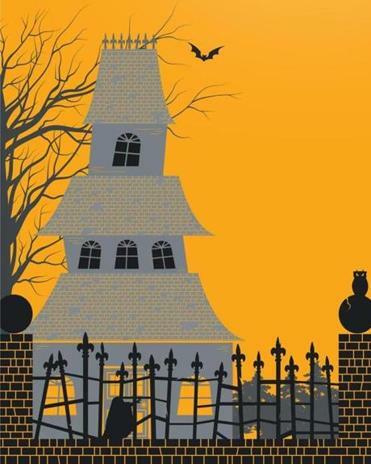 “They felt it was justified, based on the grounds that murder without spilling blood was not deemed to be a sin, according to the Bible,” says Daniel Berger-Jones of Cambridge Historical Tours (“Haunted Harvard” tour, $15, 617-520-4030, www.cambridgehistorical tours.org). Mark was hanged and then gibbeted (put into a cage to decompose), as a public reminder of his crime. Paul Revere, who rode past 20 years later, mentions it in his accounts of his midnight ride. Phillis was burned at the stake. “They say, if you listen closely on a windy day, you can still hear her screaming as she went up in smoke,” Berger-Jones says. .framinghamhistory.org). The spirit is so popular that the school’s sports teams, the Galloping Ghosts, are named in his honor. But the galloping ghost isn’t the only apparition in town. Edgell Grove Cemetery has a spirit that refuses to rest in peace, Murphy says. According to accounts published in the Framingham Gazette in 1891, one Elven Hemenway was driving his carriage to his brother’s burial, when he suddenly gasped and fell back dead. The cemetery’s undertaker responded to Elven’s wife’s cries for help, and Elven’s corpse was loaded onto the same wagon that carried his brother. “There are those who say that Mr. Hemenway can be seen on these roads, desperately driving his ghostly carriage, attempting to make it to his beloved brother’s funeral,” Murphy says. 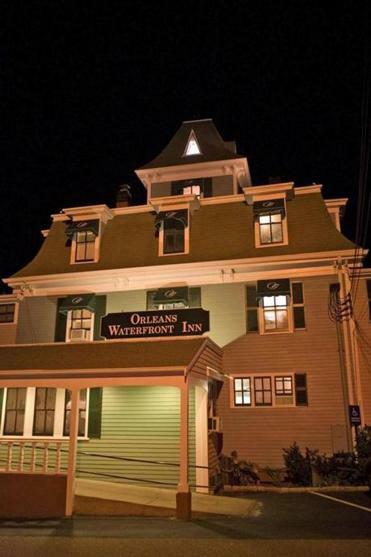 Lore claims the Orleans Waterfront Inn’s resident undead are two men who suffered unhappy demises and a woman who still communicates with guests with a flashlight. www.orleansinn.com) has so many ghostly goings-on that a show called “Ghost Hunters” on the Syfy channel did an hourlong special on the place in 2010. The TV crew recorded a man’s voice saying, “Let me down,” thought to be the ghost of a bartender named Fred, who hanged himself there more than 50 years ago. Fred is part of a ghostly trio at the inn, says marketing director Megan Kaser. There’s also playful Hannah, who has claimed Room 4, and Paul, who haunts the kitchen. There have been several sightings of Hannah, who blows out candles in the restaurant at her whim, and communicates with guests by means of a flashlight, they say. Hannah is hard to miss — she isn’t wearing any clothes. “This makes sense, since she worked at the inn when it was a brothel in the 1920s,” Kaser says. Ghost Paul, a dishwasher who committed suicide on the property, makes a rare guest appearance, clad in cooking attire. 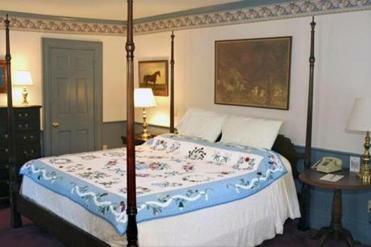 Room 24 at the Colonial Inn in Concord may be home to a veteran of the Revolutionary War - in spirit, as they say. $255, www.concordscolonialinn.com), but the place is filled with restless spirits. Built in 1716, the inn has so many ghost stories, including the possible presence of a celebrity spook, Ralph Waldo Emerson, that it’s a featured stop on Gatepost Tour’s “Ghosts in the Gloaming” tour. Ghost-seeking guests are advised to ask for Room 24, which may be haunted by a Patriot soldier named Ammi White, who cracked the cranium of a British soldier with a hatchet and later lived at the inn when it was a private home. “Taking into account the many paranormal experiences that people claim to have had at the inn, one wonders if Ammi White haunts his old residence to this day, or perhaps it’s the undoubtedly miffed and headless British soldier still hanging about,” says Alida Bailey, who runs Gatepost Tours (“Ghosts in the Gloaming” tour, $25, 978-399-8229, www.gateposttours.com). If you get a bit spooked by this, better skip a nightly stroll — Emerson’s ghost is said to haunt the stairway.